The Pollinator Partnership, a nonprofit organization dedicated exclusively to the protection and promotion of pollinators and their ecosystems, cited major progress in the disaster relief campaign it began last October following the devastating hurricanes that tore through Puerto Rico and neighboring islands. Pollinator Partnership President and CEO Val Dolcini highlighted the delivery and ongoing distribution of supplemental protein and replacement hives to help beekeepers on Puerto Rico, the U.S. Virgin Islands (USVI) and other islands in the Caribbean recover from the impacts of hurricanes Maria and Irma. Dolcini noted important progress on several fronts. The first relief flights delivering emergency bee protein to Puerto Rico landed within days of the hurricane and were quickly followed by other shipments. The rapid success of these efforts allowed beekeepers on Puerto Rico to share emergency bee protein supplies with beekeepers on the USVI, Dominica, Barbuda, and other nearby islands. The campaign also provided funds to help pay the costs of volunteers capturing honeybee swarms and escaped colonies. With protein needs met and the floral landscape beginning to recover, the focus of the relief efforts has shifted to providing bee hives to island beekeepers. Three shipments containing over 1,000 replacement hives and other supplies have recently been shipped to San Juan, and volunteers will soon begin working to assemble the hives and distribute them to beekeepers in need. “Beekeepers across the Caribbean have been working hard to save their bees, and our campaign is continuing to provide meaningful help,” said Val Dolcini, President and CEO of the Pollinator Partnership, which is spearheading the campaign. “I am traveling to Puerto Rico in early February to meet with beekeepers and other partners to learn firsthand how else we might assist the recovery effort.” Dolcini will also assess the impacts of the hurricanes on other pollinating species to determine how additional help might be provided. 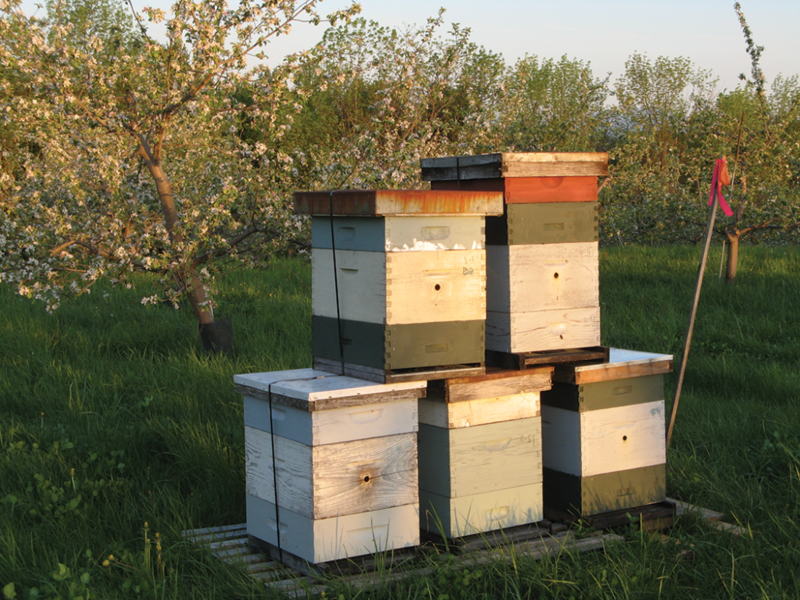 Other partners in this private-public collaboration are the Agricultural Research Service (ARS) and Animal and Plant Health Inspection Service (APHIS), U.S. Department of Agriculture (USDA); American Beekeeping Federation; American Honey Producers Association; Bayer CropScience LP; Beekeepers of Indiana; Blue Diamond Growers; Brushy Mountain Bee Farm; Dadant; DuPont Pioneer; Florida State Beekeepers Association; Honey Bee Health Coalition; Mann Lake Ltd; Monsanto; National Honey Board; Puerto Rico Department of Agriculture; Queen of America; Sweet Virginia Foundation; Syngenta and Puerto Rico Agricultural Biotechnology Industry Association (PRABIA); The Humane Society of the United States; the University of Puerto Rico, Department of Biology; Valent USA Corporation; and Wonderful Bees. In addition to generous financial and in-kind contributions from campaign partners, hundreds of citizens, beekeepers and organizations from across the nation have contributed to a GoFundMe campaign at http://bit.ly/2DPF9bt. Next articleCATCH THE BUZZ – Nonprofits, Industry, Universities Join Together in Recommendations to Keep Honey Bees Safe during Corn Planting.